Permanent hair dye lasts up to eight weeks. 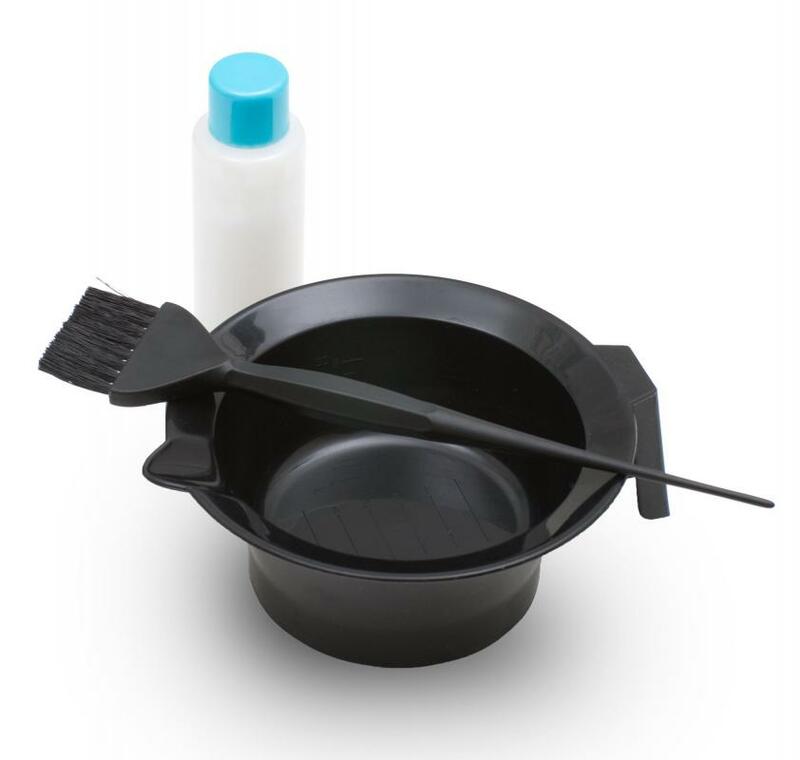 Semi-permanent hair dye cannot be used to lighten hair. 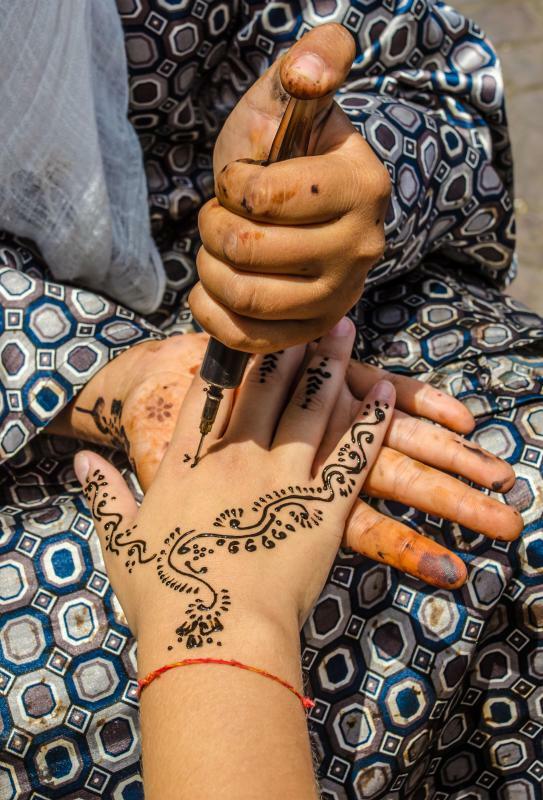 Henna can be used to make a semi-permanent hair dye. Semi-permanent hair color lasts about six weeks or up to about 24 shampoos. Sooner or later, most people will eventually spot a gray hair sprouting from their head. While this event shouldn’t come as a surprise after a certain age, it is seldom accompanied by fanfare. For that matter, a fair number of people find the graying of their tresses while still in their youth quite distressing. Since gray or white hair translates into getting “long in the tooth,” particularly in Western culture, many seek a “cure.” For most people, the solution comes in a bottle of hair dye. Hair coloring is an ancient art, with its roots in the application of dyes obtained from certain botanicals. Hair coloring has also developed into a science. For instance, Henna, one of the oldest forms of hair coloring agents known that is still popular today, yields a rich but semi-permanent reddish tint to darker hair types. However, unless the orange color of an orangutan is the desired outcome, it should never be applied to gray or white hair. Using a permanent hair dye without due deliberation can have even more shocking -— and longer lasting —- results. Without a basic knowledge of how hair coloring works, it’s likely that experimentation with hair color will end in disappointment, or even damaged hair. To avoid either, it’s necessary to understand the difference between permanent and semi-permanent hair dyes. It’s also necessary to understand how hair dye gets deposited and how it reacts to whatever natural pigment is already present in the hair. Hair pigment is contained in the cortex of the hair shaft, which is protected by an outer layer called the cuticle. This outer layer is constructed of overlapping segments, similar to the scales of a fish. In order for hair dye to penetrate this layer, it is first necessary to part the segments. 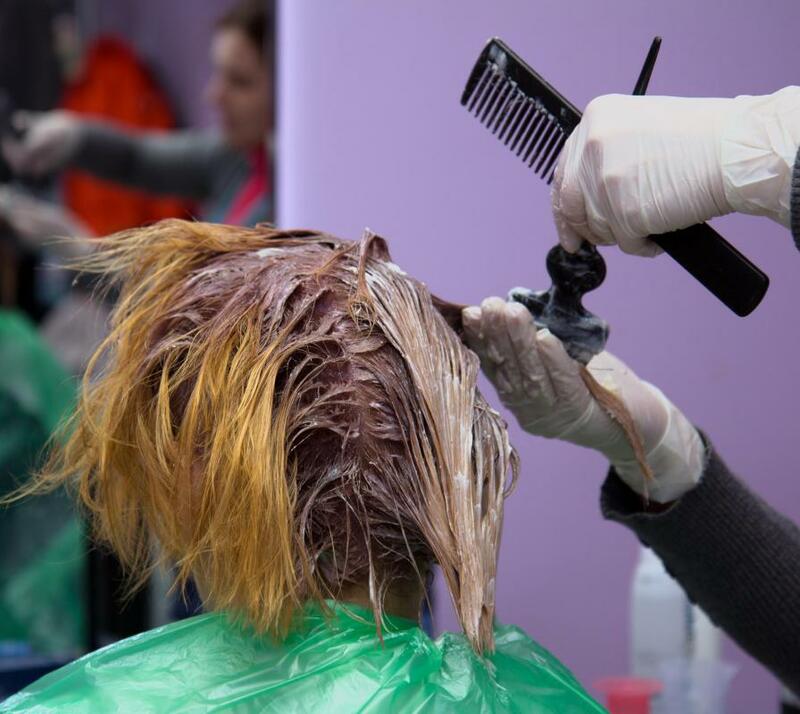 Permanent hair dyes achieve this chemically by introducing ammonia, which causes the hair shaft to swell and the cuticle segments to relax and accept various dye intermediates. As the name implies, the deposited color is permanent and doesn’t wash out. 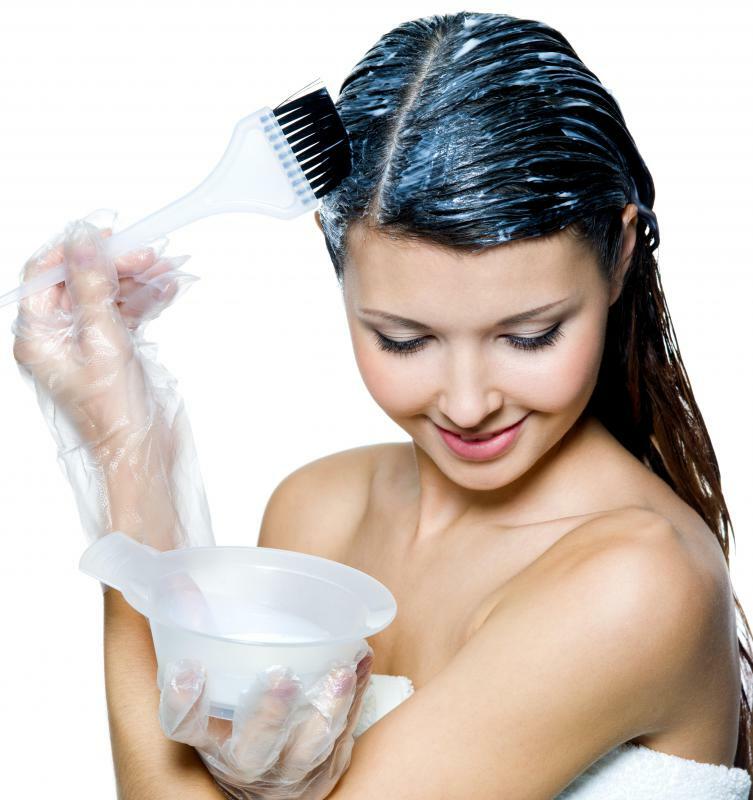 Semi-permanent hair dye is more of a temporary stain and is engineered to wash out after 12-24 shampoos. This happens because its formula contains coloring agents with very small molecules, which are able to pass through the cuticle barrier without chemical assistance. It is also interesting to note that these products contain several intermediates rather than one overall color, including red, blue, yellow, orange, and blue. The effect of this formulation is to reflect spectrum light and give the appearance of natural highlights. The type of hair dye and specific color selection depends on natural pigmentation since it will affect the final shade. Generally, hair that is more than 50 percent gray responds best to permanent hair color. In fact, the lack of natural pigment allows for greater choice in selecting a permanent hair color. Those with naturally black to brown hair possess the pigment eumelanin, while varying degrees of phaeomelanin produces natural red and blonde shades. Unless the natural pigment is chemically stripped (by a professional, please), the best results are obtained with a semipermanent hair dye while staying in the same “family” as the natural shade. What Is an Oxidation Dye? How Do I Choose the Best Brown Hair Highlights? How Do I Choose the Best White Toner for Hair? What Are the Pros and Cons of Using Henna for Hair? How Do I Choose the Best Demi-Permanent Hair Dye? you are not able to semi-permanently dye your hair blond because your hair must be bleached to get the lighter color, and that is always permanent. I have never colored my hair before. I have naturally brown hair and I would like to dye it blonde. Should I use semi-permanent hair dye products the first time or is it okay to use permanent hair color? ShowStopper- Many women and men regularly apply permanent hair color themselves that they buy at the store. These products usually come with extensive instructions and are usually safe to use. However, if this is your first time ever coloring your hair, I would not suggest doing it yourself. You risk buying the wrong shade of permanent hair dye. Visit your salon and have them do your first dye job. Ask them for tips on brands and colors to buy in the future so that you can do it yourself. Is it safe to buy store bought permanent hair color dye and apply it myself at home?